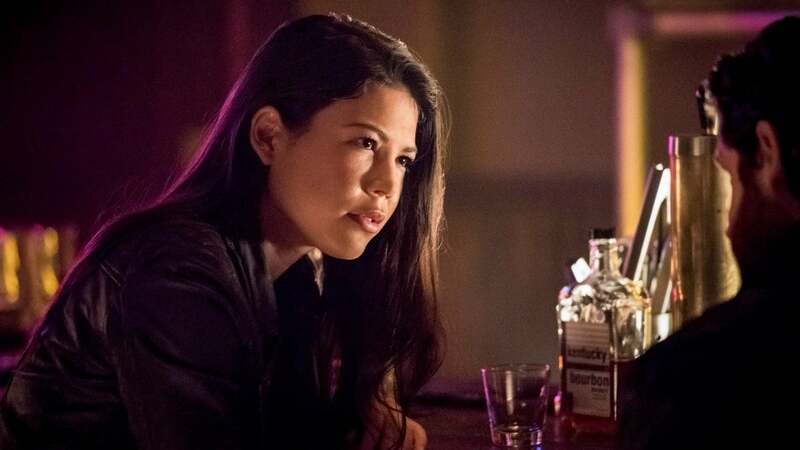 Home / Entertainment / Season 7, Episode 10: "My name is Emiko Queen"
Season 7, Episode 10: "My name is Emiko Queen"
Where in Star City is the new green arrow? 9, but it sets in motion some fascinating subplots. This episode is the first one that gives us a really profound look at Sea Shimooka as Emiko. So far, she is good in a fairly straightforward role. Shimooka necessarily has the corporeality and the brooding darkness, but the series does not require much else yet. Hopefully that will change as Emi and Ollie meet face to face for the first time next week. It is already clear that the show adapts the character rather loosely. Which is never a bad thing in itself, but I'm worried that the fun of the comic book Emiko Queen is lost here. There is a bigger age difference between the two characters in the comics, with the result that Emi is very grumpy and arrogant. Type of Green Arrow equivalent of Damian Wayne Robin. There is also no concrete evidence that Emiko has any connection to Simon Lacroix, or that the series wants to plunge into the mythology of the outsiders. Time will tell, but for now, Emi's personality, motivations and backgrounds are a little more textbook Arrow Vigilante than I would like. This episode succeeded in building the partnership between Emi and Rene. It is a constant struggle to keep former Arrow team members up to date, and that seems to be a shift in the status quo for René. It's also great to see the classic Wild Dog costume back in the game. This partnership between Green Arrow and Wild Dog has plenty of potential to channel the Ollie / Emi relationship from the comics, only when Emi serves as a sullen, humorless half of the equation. The series also seems to be strong way for Ollie in his new existence after the prison. On the one hand, seeing how he deals with his new role as a legitimate, representative member of the SCPD brings with it some humor. The hope is that the series can try to experiment with the lighter, happier version of Ollie we saw at the beginning of Season Four. Even if this is out of the question, considering how much the second half of this episode makes focuses on Ollie's most recent existential crisis and addresses his father's latest and most terrifying secret. There was a good drama in these scenes, which makes me even happier with the Ollie / Emi meeting in the next episode. Here, however, a strange individuality must be addressed. The tone of the Ollie / Felicity relationship has changed dramatically in the last few episodes. "Unmasked" made it seem as though the two were basically dissolved. And even though the crossover stuff cools off a bit, it's bizarre to see the two pretend that there's no tension between them. Elsewhere, this episode gave us a clear idea of ​​the new role that Ricardo Diaz will play in the future. It seems that Arrow is finally returning the Suicide Squad. That's good news, though the fact that Lyla uses the name "Ghost Protocol" instead of "Suicide Squad" or "Task Force X" indicates that Arrowverse is still dealing with some behind-the-scenes: "Do not conflict with the movies!" Nonsense. Whatever you call this team, the Suicide Squad in Arrowverse has far too much potential to be inactive. Unfortunately, at this point, I quickly lose interest in the Flash Forward scenes. What began with a compelling insight into the future of Arrowverse has lost quite some momentum in recent episodes. The more characters are added to the plot and the more it sets itself apart from William and Roy, the less weight it carries. Do we really have to hop a few decades in the future, just to see how these characters try not to blow up Star City again? Arrow does not start the new year on solid ground. The show still has a lot to do where the new heroine Emiko Queen is concerned, and the Flash Forward story is quickly losing momentum. But between the return of the suicide squad, Ollie, who is dealing with the new family drama, and the prospect of a brand new Green Arrow / Wild Dog alliance, there are many reasons to look forward to this second half of Season 7.